The Office of Geriatrics and Gerontology is proud to announce the release of the new Aging Connections web site at https://aging.osu.edu. Aging Connections is a virtual “hub” for those at OSU who wish to learn about the broad array of aging opportunities on campus and build collaborations around aging with other faculty, staff and students at OSU. The interdisciplinary nature of aging education, research, and care emphasizes the importance of connections between faculty, clinicians, students, and others interested in aging initiatives. The importance of collaborations, recognizing our many resources, and having a central location to learn about aging were prominent themes that were heard loud and clear at the aging retreat that took place in mid-2013. If you know of other people or programs that should be included on the site, please don't hesitate to contact Michelle Myers at michelle.myers@osumc.edu or 614-685-5672. The site will be continually updated as appropriate. We invite you to explore the website and begin connecting now at https://aging.osu.edu! For more information, call (614) 645-1950. This book has received multiple reviews from the New York Times, Washington Post, The Atlantic, CNBC, Forbes, Atlantic Profile, and others. It was also reviewed on NPR. We hope you will be able to join Dr. Volandes on April 27th to enhance your knowledge of end of life care! The Alzheimer’s Association recently released the Alzheimer's Disease Facts and Figures for 2015, and to those of us in the field of aging this information may not be surprising, but it is certainly sobering. According to the new facts and figures, over 5 million people in the U.S. in 2015 who are 65 years or older are estimated to have Alzheimer’s Disease (AD), and of this total, over 3 million are women. Additionally, there are more non-Hispanic white people living with AD than any other ethnic or racial group. Alzheimer’s Disease is the sixth leading cause of death in the U.S., and is the only disease in the top 10 causes of death category that cannot be prevented, cured, or slowed. Additionally, deaths from AD have increased by almost 70% between 2000 and 2012, and AD is the only leading cause of death that has increased death rates; all others disease categories in the top 10 causes of death have experienced a decrease in related deaths. In 2015, this translated to over 700,000 deaths of older adults who died or will die due to AD. The estimated cost of Alzheimer’s Disease in 2015 is significant as well, coming in at $226 billion with 1 in every 5 Medicare dollars spent on people with AD. Additional significant costs are associated with caregivers of people with AD. Approximately two-thirds of women are caregivers with somebody with AD, and 41% of caregivers have a yearly income of less than $50K. Understandably, almost 60% of caregivers report higher stress levels, 40% suffer from depression, and these and other related issues lead to additional healthcare costs up to $10 billion for caregiving. As you can see, the cost of AD to the nation is overwhelming, and likely to increase. In Ohio, AD is the sixth leading cause of death, with the actual number of reported cases of death due to AD in 2015 for persons 65 years old or older set at 210,000. In fact, it is estimated that 12% of the senior population in Ohio have AD. Caregiver burden is high in Ohio, too, with an estimated value of unpaid care of over $8 billion. For more information about care in Ohio, click here. Student Daniele Hillmon in the OSU College of Social Work is interning with the Buckeye Civic Engagement Connection (BCEC) working with older adults at the Isabelle Ridgway Care Center. Part of her project includes creating activities that challenge dexterity, memory, and encourage social interaction. To that end, Ms. Hillmon has planned a Spring Dance / "Senior Prom". 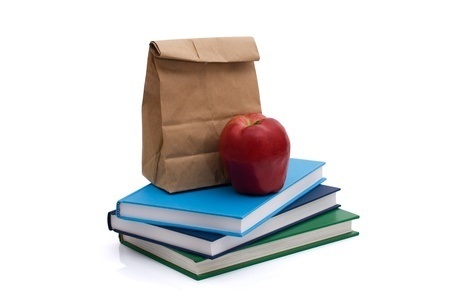 Need a service project for your class? Want to spend quality time with older adults? Then this is the event for you! For more information, contact Daniele Hillmon at hillmon.14@osu.edu. 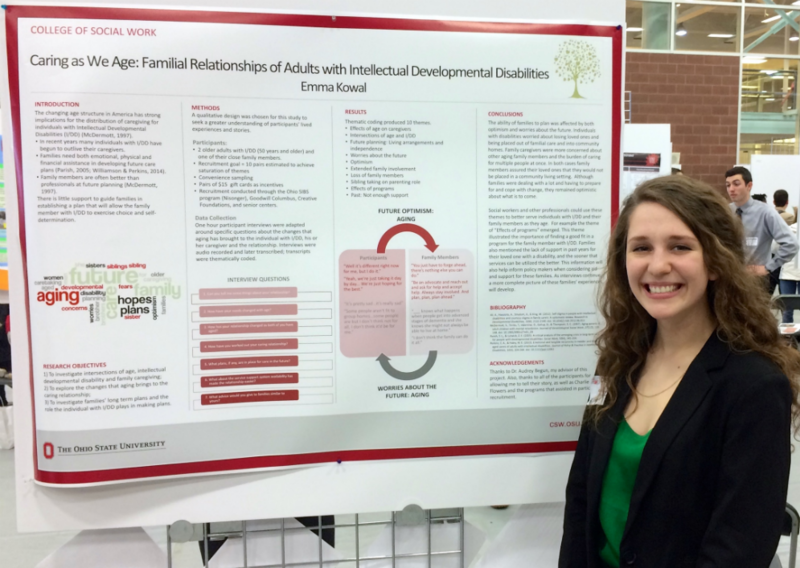 Congratulations to Emily Kowal, an OSU student in the College of Social Work, who was named an Ohio Association of Gerontology and Education (OAGE) Scholar in Aging for Spring 2015! Per the requirements, Emily completed an internship at Goodwill Columbus working in the Health and Wellness department with older adults with developmental disabilities. A joint collaboration between ODA and OAGE, the program is designed for students enrolled in a practicum, internship, clinical, or other related educational activity that involves caring for older adults or their caregivers. Through this program, students have the opportunity to gain additional knowledge, skills, and establish professional contacts in the field of aging that can last a lifetime. If you have a student who you think fits the criteria and may benefit from this award, click here. The NIA recently announced an opportunity to apply for a NIA Research Leadership Career Award, which provides “. . . support for more senior investigators who have the expertise and leadership skills to enhance the aging and geriatric research capacity within their academic institution.” More specifically, this academic/teacher award is designed to encourage faculty to improve curricula and research in aging at their own institution. The deadline to apply is May 8, 2015. Have you considered the Graduate Interdisciplinary Specialization in Aging? All graduate and professional students at Ohio State are eligible to pursue the Graduate Interdisciplinary Specialization in Aging to prepare themselves to work with our growing aging population after graduation. During this spring semester, six students from pharmacy, optometry, and occupational therapy are completing the required community placement course with aging providers at First Community Village, the Alzheimer’s Association, the Central Ohio Area Agency on Aging, Westminster Thurber Community, the Village Connection, and Adult Day Enrichment of New Albany. What’s it like to live in a retirement community with supportive care geared to your level of function when needed? What might you learn from older adults’ views on family, marriage, and politics? What defines a meaningful day at the adult day center? How do caregivers balance their responsibilities when dementia robs their loved one of their independence and abilities? Who pays for community-based services delivered in older adults’ homes? How are communities responding to their older adults’ desire to age in place within their homes and communities? How do teams of social workers, nurses, pharmacists, occupational therapists work together to meet the needs of the older adults they serve? Caring for older adults is a calling that requires compassion and insight to address the varied needs, supportive programs, living environments, and opportunities present within a variety of practice and care settings. No matter your area of graduate studies, completing the Graduate Interdisciplinary Specialization in Aging in combination with your main discipline will help prepare you for a successful career in aging. To learn more about the Specialization in Aging, travel to https://ogg.osu.edu or contact Linda Mauger at linda.mauger@osumc.edu or 614-293-4815. Ohio’s Aging Eye Public Private Partnership, The Ohio State University College of Optometry, and Prevent Blindness are sponsoring this year's Aging Eye Summit. This event is appropriate for vision researchers, clinicians, allied health, public health and Rehabilitation professionals, patients, aging network professionals, students, bio-science funders, leaders from government and the bio-tech industry, and others interested in vision loss and the older adult. For more information, click here or call Prevent Blindness of Ohio at 614-464-2020.
present research at national meetings. 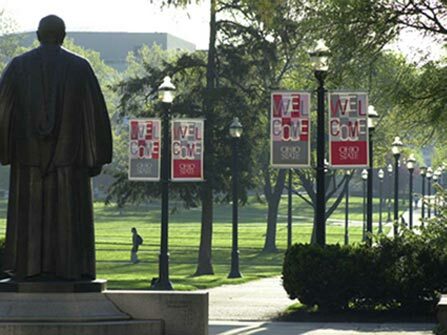 OSU is fortunate to have a long list of students who have applied to and been awarded this highly competitive summer scholarship, which is awarded to up to 120 medical students in the U.S. annually. This year, congratulations go out to Diana Lam, an M.D. candidate in the OSU College of Medicine, who will work with faculty at UCLA to broaden her interest, knowledge, and skills in the field of aging-related research. The Office of Geriatrics and Gerontology is very pleased that Ms. Lam will represent OSU at UCLA through this prestigious award! For more information about MSTAR, or other funding opportunities at AFAR, click here. Ohio is addressing senior transportation needs through a variety of programs. 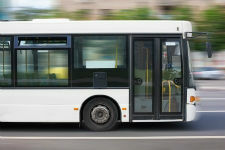 For example, the Ohio Department of Aging has the Integrated Transportation Network (ITN) mobility program for older adults in Ohio. This program trains volunteers to provide transportation to older adults. 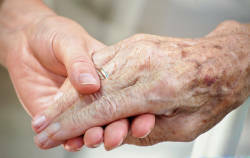 In fact, according to Marc Molea, Strategic Partnerships Chief of the Ohio Department of Aging, an instructor at the University of Cincinnati has added this as a service learning project to a course. Do you help a family member or friend with their Medicare benefit? Are you nearing the age of 65 and want to learn more about Medicare? Or do you already receive Medicare benefits, but want more information? If so, you may want to attend a Welcome to Medicare event sponsored by the Ohio Senior Health Insurance Information Program (OSHIIP), a service of the Ohio Department of Insurance. These free events are being held throughout the state of Ohio and offer you a chance to learn more about . . . If you are unable to attend a meeting in person, OSHIIP also offers Welcome to Medicare webinars on several dates (registration required). For a full list of these events click here or call OSHIIP at 1-800-686-1578.